Miss Mary Emma PIPER was the Governess at Wirksworth Hall to Elizabeth WOOD, surviving daughter of Nicholas and Agnes WOOD. 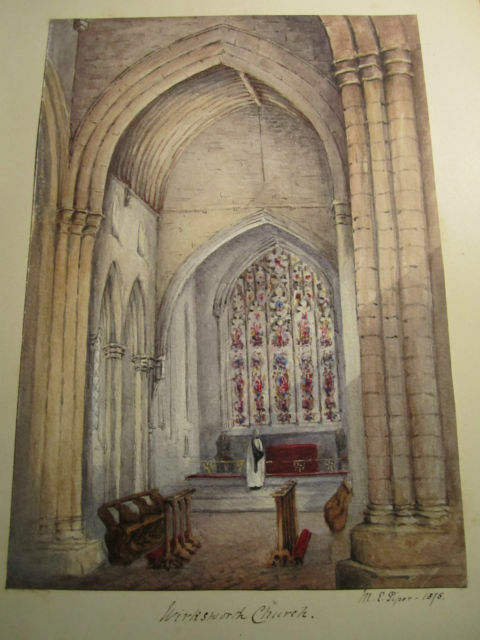 She probably started after Elizabeth's sister Mary Agnes died of diptheria in 1862 (Elizabeth was 7), and would be there when the watercolour was painted in 1875 (Elizabeth was 20). By 1881 she had retired and was living with her brother George (a solicitor) in Herefordshire. Her duties and environment as a Victorian governess are interesting. 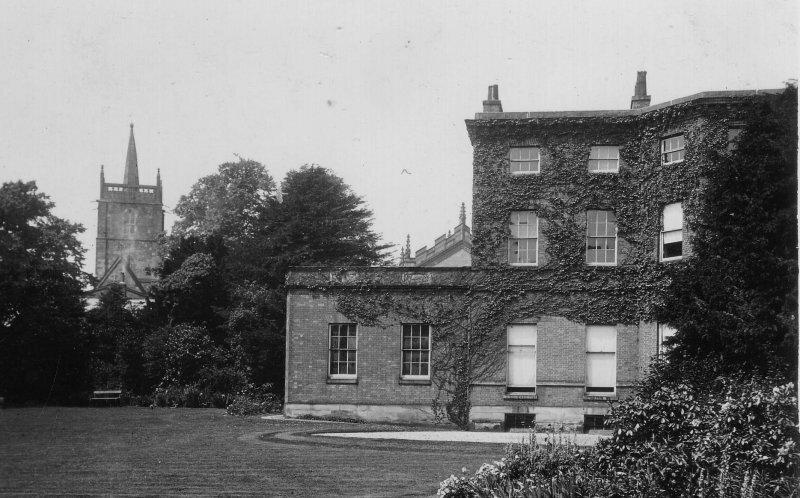 The WOOD family bought and moved into Wirksworth Hall in 1858. They only had two children, both girls. Agnes Eleanor's father was Nathan HUBBERSTEY (1767-1828), who was Vicar of Wirksworth and Head of Wirksworth Grammar School (also a stone's throw from Wirksworth Hall). The Governess came from a fairly well-to-do family. She retired to live with her brother, who was Solicitor Of The Supreme Court and F.G.S. She, her sister and brother were all "Living On their Own Means". But Mary Emma never married, and may have lived to be 95. 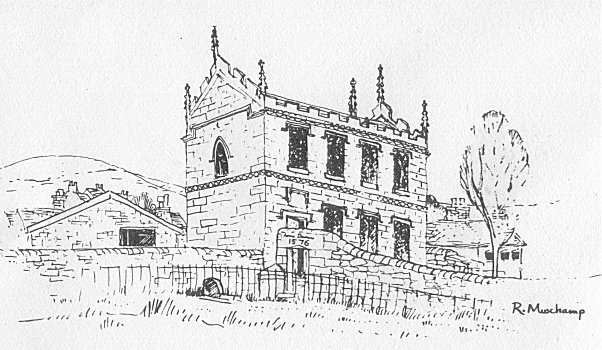 Inscribed "Wirksworth Church. 1875. M.E.Piper"
where Mary Emma was Governess to Elizabeth WOOD. Agnes Eleanor WOOD's father was headmaster of the school. What a Victorian Governess did. physical needs. Her charges are of school age, not babies. especially in the countryside where no suitable school existed nearby. when a boy was old enough, he left his governess for a tutor or a school. flexibility to travel or live in multiple locations. higher standard than a school education can. skills to be brought in, such as, a drawing master or dancing master. because she was neither quite a servant nor a member of the host family. retained by the grown-up daughter as a paid companion. paid work was often invisible, seldom mentioned in censuses etc. married, as was the case in other professions too.